CHBN provides a Community Radio service for Truro and the surrounding areas and a Hospital Radio service to the patients of the Royal Cornwall, West Cornwall & St Michael's Hospitals. Our station offers a wide range of both music and speech-based programmes for all ages presented by our dedicated team of volunteers. Several programmes highlight health and lifestyle topics and we promise to play a wide range of music with both general and specialist appeal. 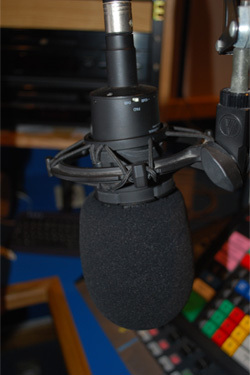 Our station slogan being Your Community, Your Station encapsulates that as the Community Radio station for Truro we aim to provide a platform for the community we serve to promote their messages to the population of Truro and its surrounding areas. This also includes the Colleges and Schools of Truro, the business community, the Royal Cornwall Hospital or the many visitors to Cornwall’s only city. We aim to provide a platform for clubs, bands, musicians (old and new), youth organisations, businesses, health organisations, sports clubs, colleges, schools, church and religious groups or individuals; whatever interests the community is of interest to us. We operate an open-door policy regarding training and presenting skills for those wishing to join our team and aim to provide opportunities for them to broaden their horizons. We are happy to both advertise and, where possible, be present at local outside events which aim to bring the community together to celebrate the great diversity of Truro and its environs. We work to include all sectors of our community giving opportunities to not only provide the content for our programme schedule but to also feature in the programmes.